Price listed is for each pair of earrings. 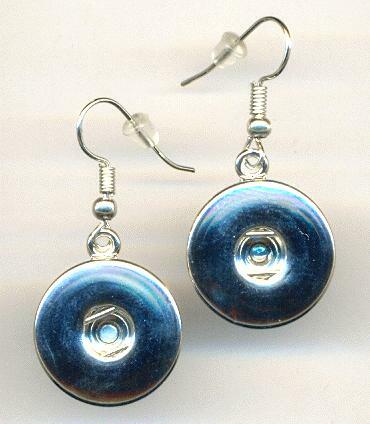 These are approximately 19mm silver plate disks that will accommodate an 18mm to 20mm disk. The ear wires measure approximately 18mm.